Paige Sims started Restore PT with a vision to do things differently. She saw the need for a women’s oncology rehabilitation clinic because of how many women were surviving breast cancer but their restoration and recovery journey was an afterthought, being overlooked, and not a priority for these women who encompass the word “life givers, life savers” but they were being left behind to pick up the shattered pieces essentially limping along scared and alone. Dr. Julie Silver explained it this way, “If a patient had a stroke, you would never tell them, ‘this is your new normal-if you want to get better figure it out on your own.” I have been a PT for 17 years, practicing off and on, primarily in the acute care/hospital setting and orthopedic/geriatric outpatient setting. My heart has been set on fire with a passion to help women who are encompassed by debilitating emotional and physical trauma that has kept them from moving and living to their fullest potential. I want to be a lifeline for my patients in the arena of rehab to help women move into hope, healing, and restoration. I recently heard my pastor’s wife, Amy Groeschel, say “There is WEIGHT in the wait ladies.” This is so true! You get to decide what you are doing for your body, mind, soul, etc. during this time of recovering- what are you doing while you are waiting for this season to pass, while you are waiting for the next phase, and while you are possibly in that season of growing stronger and more confident and more sure than ever before of what you want your life to be like. I know you get to choose who is on this journey with you and I know breast cancer might be a small part of your journey but it is not your finish line. You get to choose what your best “yeses” are right now, and I would love to help you reach your goals. We are not meant to DO life alone. We need encouragers, faith-builders, cheerleaders, coaches, experts, motivators, friends, and family. It doesn’t make us weak to need others. 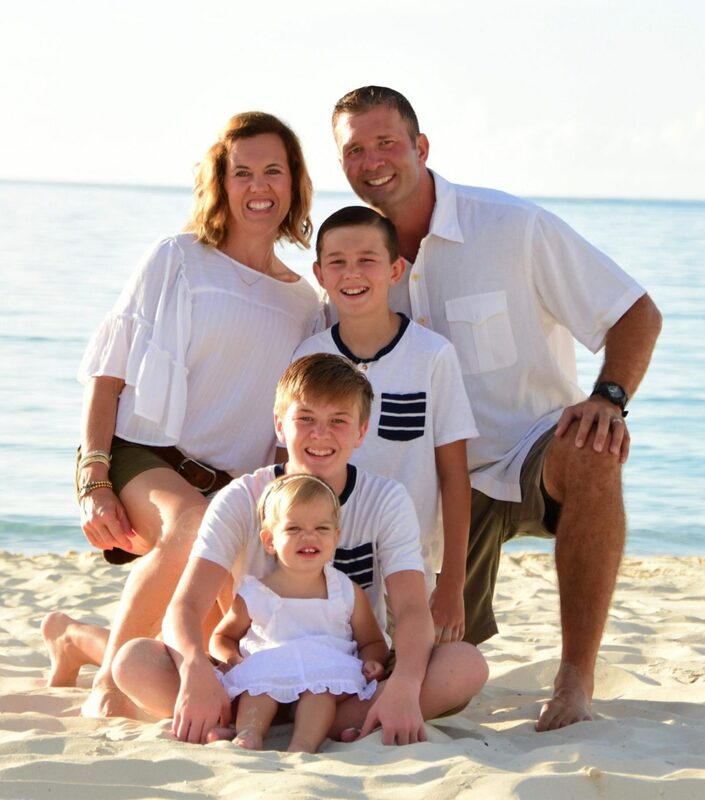 We all help make each other stronger!Paige and her husband Shane Sims have co-owned CORE Physical Therapy, an outpatient orthopedic PT clinic in Edmond for the past 13 years. However, Paige’s passion was to provide women’s rehab services in a more peaceful, women-centered environment that allowed people the space in which to do the work of healing their body, mind, and spirit. Paige has 3 children: Luke-13, Bauer-11, and Kenzee-2. This is my purpose in life that I have prayed for God to make unmistakably clear and since He did there is no stopping what God is going to do.